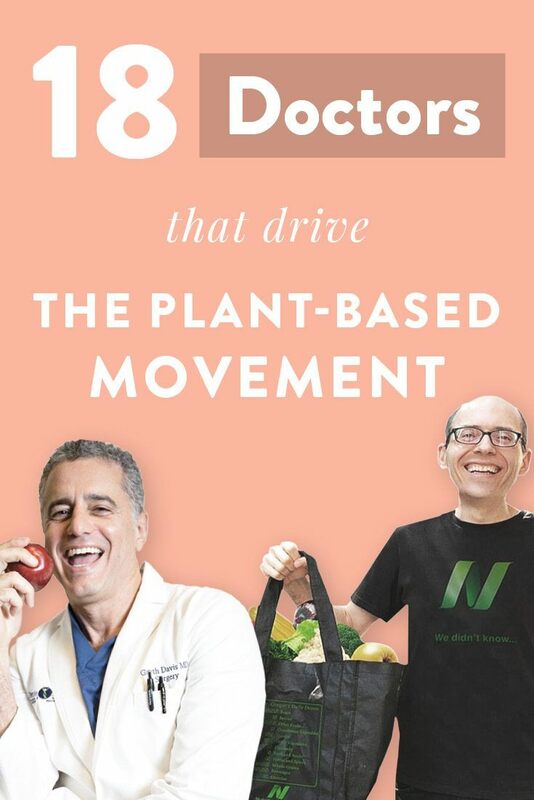 So, if you’d like to get a huge dose of inspiration now and delve deep into some research on the benefits of plant-based eating, check out these famous vegan doctors that often prescribe apples, kale, and sweet potatoes instead of blood pressure pills and insulin shots. Note: Yes, not everyone on this list is a full-blown ethical vegan but they all provide important research on this topic and promote plant-based diets. 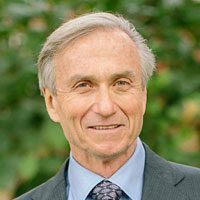 Let's start with the 1955 born former president of the American College of Cardiology who himself has been a vegan since 2003 and since talked about his reasons for doing so – privately and professionally. In the famous New York Times piece “Advice from a Vegan Cardiologist” he describes how his LDL (“bad”) cholesterol was as high as 170 at the age of 49, despite being physically active and not eating red meat or fried food. He then switched to a lower fat vegan diet and six weeks later, his LDL had fallen to 90. This change of his food choices was inspired by the medical literature, observational studies of tens of thousands of people following vegetarian and vegan diets and living longer than meat eaters while also having lower rates of heart disease, diabetes, and kidney problems. There are two kinds of cardiologists: vegans, and those who haven’t read the data. 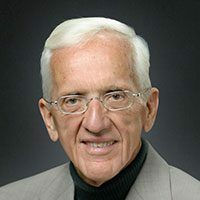 One of the veterans, Dr. T. Colin Campbell, is a 1934 born American biochemist and Professor Emeritus at Cornell University who grew up on a dairy farm - so imagine the surprise when his research showed strong correlations between animal protein and cancer. He was one of the lead scientists of the China-Cornell-Oxford Project which challenged his strong beliefs about milk and its positive health effects. Now, that's what we call an open-minded individual! He has coined the well known term WFPB (Whole Food Plant Based) and he prefers the “wholistic” approach towards nutrition rather than the reductionist point of view because he finds that a food offers more than its individual nutrients. He has worked as a senior science advisor to the American Institute for Cancer Research and sits on the advisory board of the Physicians Committee for Responsible Medicine. 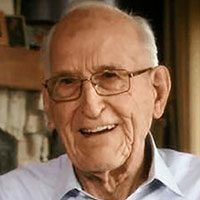 Campbell was featured in the documentaries Forks Over Knives, Vegucated, and PlantPure Nation - the latter of which was produced by Campbell's son, Nelson Campbell. The two also teamed up for the famous eCornell plant-based nutrition certification program that includes presentations by over 25 well-educated experts. You could call Dr. Esselstyn one of the prime fathers of this movement and a pretty famous plant-based doctor as well. He is almost exactly as old as Campbell and still going strong, too. Dr. Esselstyn is the heart disease expert who treated ex-president Bill Clinton in 2010 and has reversed countless people’s coronary artery issues ever since. My message is clear and absolute: coronary artery disease need not exist, and if it does, it need not progress. It is my dream that one day we may entirely abolish heart disease, the scourge of the affluent, modern West, along with an impressive roster of other chronic illnesses. 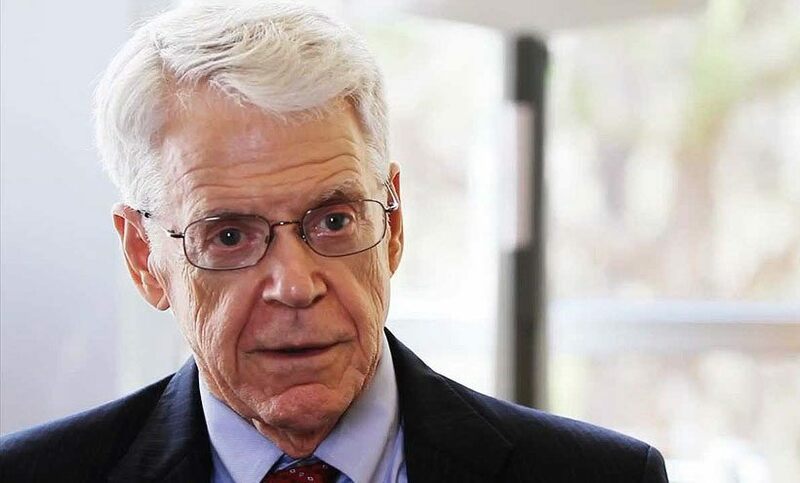 Dr. Esselstyn’s advice is also likely to prevent strokes, hypertension, obesity, osteoporosis, adult-onset diabetes, and possibly senile mental impairment. His work has been featured in the well-known documentaries Forks Over Knives and What the Health. Nutrient dense foods! That's what Dr. Fuhrman, former competitive figure skater born in 1953, is mostly about. His nutrition equation is H = N / C, which translates to “Health equals Nutrients divided by Calories”. This style of eating, referred to as “Nutritarian”, focuses on micronutrients rather than macronutrients. And unlike some other plant based doctors, Fuhrman emphasizes healthy whole fat sources and limits starch-based foods. There are still more similarities than differences since all of the vegan doctors promote a whole foods, plant-based diet with just slightly different focuses. Unlike many other experts, Dr. Fuhrman places a huge importance on eating a lot of vegetables and raw foods. In the past, he has been critiqued for selling his own line of supplements despite claiming his diet is the most nutrient-dense. While his approach includes very healthy foods and discourages processed junk, it’s rather hard to stick to for most people but can offer tremendous health benefits. 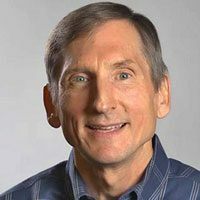 Starch - Dr. McDougall is the doctor who most vocally destroys the myths surrounding high carbohydrate diets. His message is that the main source of your calories should come from potatoes, rice, corn and beans accompanied by vegetables and fruits. Similarly to Dr. Esselstyn, he doesn't allow too much fat from nuts and avocados. The American physician, born 1947, came to his conclusions while working with different generations of people on the big Island of Hawaii in the 1970’s and watching the younger people getting “fatter and sicker” when adopting a meat-rich Western-style diet. Throughout human history, all large, successful populations of people, have obtained the bulk of their calories from starch. To be fair, Dr. McDougall refuses to be called a vegan doctor because he wants to emphasize the importance of eating starches. He's also known for his rejection of supplements (with the exception of vitamin B12) because he has found them having side effects during his research. McDougall has created a 10-day live-in program based in Santa Rosa, California and offers a lot of free information on his website (including a regular newsletter). He is the founder of “Dr. McDougall’s Right Foods” and advisory board member of the Physicians Committee for Responsible Medicine. 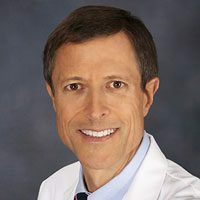 Dr. McDougall is known from the documentaries ForksOverKnives, Food Choices, What The Health, and Eating you Alive as well as discussing a low-fat starch-based diet on television, or debating people like Dr. Atkins live on nutrition and health. Dr. McDougall offers an online “Starch Solution Certification” program with 19 video lectures. 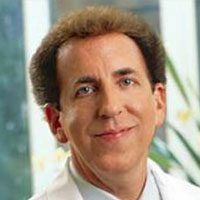 Dr. Ornish, born in 1953, is a well-known advocate for using diet and lifestyle changes to treat and prevent heart disease and some types of cancer. His work inspired and encouraged many of the other vegan doctors to pursue this path to treating patients by recommending a whole foods vegan diet. The Harvard Medical School graduate is passionate about creating a healthy planet and healthy people by eating plant-based foods, exercising moderately, and including yoga and meditation in one’s daily life. His “Program for Reversing Heart Disease” was built on countless of peer-reviewed studies and is supported by some health insurance companies. He allows for small portions of supplemental fish and isn’t 100% vegan in his approach, though. You can find him in documentaries like Eating you Alive and Fat Sick & Nearly Dead 2. Funny, handsome and very informative. Dr. Barnard, who was born in 1953 as well and grew up in a cattle-ranching family in North Dakota as a son of a physician, is now a diabetes and Alzheimer disease expert. During his medical school training at George Washington University, he began exploring the health benefits of a plant-based diet. His educational experience also inspired him to found the Physicians Committee for Responsible Medicine (PCRM) in 1985 because he "wanted to promote preventative medicine" and do something against animal testing and killing in medical school. Similar to Dr. Esselstyn’s work, Dr. Barnard found that saturated fat and cholesterol don’t just clog the arteries to our heart, but also our brain. Ever since his own father died from Alzheimer's, he’s deeply invested in this research and made it his life mission to assure no one had to go through what he and his family experienced. Together with Dr. McDougall, he contributed in the 2016 lawsuits against the unhealthy dietary guidelines that the USDA shared with the public. Dr. Barnard’s dietary approach is just a low-fat vegan one, rather easy to follow, but not less effective in the treatment of obesity and diabetes. In 2015, he founded the Barnard Medical Center which provides primary care and emphasizes diet and preventative medicine. Dr. Barnard plays cello, guitar and keyboard and has been in the bands Pop Maru, Verdun, and Carbonworks – his medical work has been featured in documentaries like Super Size Me, Eating you Alive, and What The Health. At age 16, Brooke was diagnosed with Systemic Lupus Nephritis and stage IV kidney disease, struggling with her health for more than 10 years until overcoming her issues at the age of 28. How she did it? She developed her own self-healing program together with her husband that cured her life-threatening autoimmune illness. 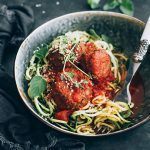 By following six key steps from eliminating animal products and processed foods to consuming lots of water and essential nutrients, she was able to get off all her medications, normalize her blood test results, become symptom-free, and have two children. Today, she coaches people that suffer not only from Lupus or MS, but also common chronic diseases like diabetes, hypertension, elevated cholesterol, chronic pain, obesity, mood disorders and more. 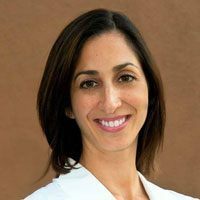 Dr. Goldner is a board certified physician, she completed the Plant-Based Nutrition Certificate from eCornell, and founded two websites. She has appeared in multiple documentaries, on TV news, many radio shows, podcasts and has been featured on the cover of Vegan Health & Fitness Magazine. The great founder of nutrition facts! 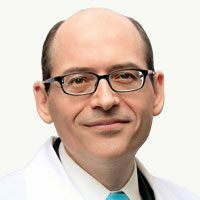 Michael Greger, born 1972, is your vegan doctor when it comes to the latest scientific findings on good nutrition. 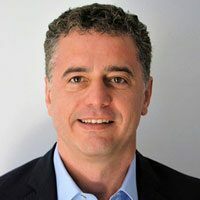 With his team of researchers, he evaluates reputable studies about food and health on a daily basis, eventually sharing his findings on his non-profit website and YouTube. In 1998 he appeared as an expert witness testifying against cattle producers that sued Oprah Winfrey for saying that meat is unsafe. Dr. Greger’s career was inspired by his grandmother, who was diagnosed with end-stage heart disease and sent home to die at the age of 65. Nathan Pritikin, one of the early lifestyle medicine pioneers, then took her on and after just three weeks, she couldn’t just get out of her wheelchair, but walk for 10 miles a day – living another 31 healthy years on this earth. Witnessing this made Greger question why it wasn’t common practice to treat people that way and wondered how many more important findings existed, which didn’t make it to the public. You can watch many of his videos on YouTube or see him in documentaries like PlantPure Nation, Eating you Alive, or What The Health. He's also written the bestseller "How Not To Die". 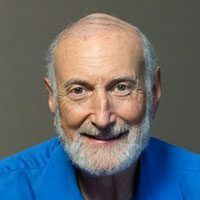 Dr. Michael Klaper, born in 1947, teaches that “Health Comes From Healthy Living” and is dedicated to the healing and flourishing of all living beings and our planet. Having practiced medicine for more than 40 years, he has seen countless of patients suffer from illnesses like atherosclerosis, hypertension, obesity, diabetes – all of which were made worse or actually caused by the high sugar, high fat, high salt, overly processed Standard American Diet (S.A.D.). 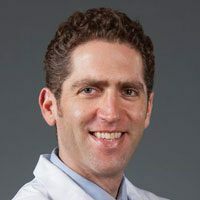 Dr. Klaper has become a leading educator in applied plant-based nutrition and integrative medicine, giving numerous talks and webinars, and doing his best to spread the message of how important proper nutrition is. He was a member and advisor of many projects by institutions such as the NASA or American Medical Student Association, and hosted a popular medical information radio program for over 10 years. Have you heard of the 2016 “Sexiest Vegan Over 50”? The charismatic cardiologist is a Professor of Medicine at Oakland University William Beaumont School of Medicine, manages is own Center for Longevity, and is a columnist at The Huffington Post and Readers Digest. When he finds the time to author 4 books and even open up his own vegan eatery GreenSpace Café in Ferndale, Michigan… we don’t know. Maybe it’s his passion that drives him because at his core, Dr. Kahn believes that plant-based nutrition is the most powerful source of preventative medicine on the planet. After reading John Robbins’ “Diet for a New America” which made him go vegan and Dean Ornish’s papers on reversing heart disease with plant-based foods, he started teaching his patients about this way of eating. But not only that – he regularly speaks at many local events, such as the annual VegFest, and appears on billboards across Detroit calling on people to adopt a vegan diet in order to avoid or help beat heart disease, cancer, and diabetes. Like many other vegan doctors, Joel Kahn is a member of the Physicians Committee for Responsible Medicine, and you can also see him in the documentary “What the Health”. 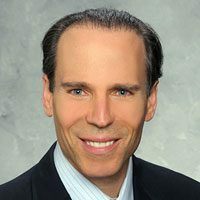 As one of the world’s top cardiologists, Dr. Joel Kahn has treated thousands of acute heart attacks during his career… He’d like all that to stop. He’d like to prevent ALL future heart attacks by breaking through to the public to educate and inspire a new holistic lifestyle. Pam’s career took a huge turn after reading John McDougall’s books which inspired her to make some serious lifestyle and diet changes – that ultimately resulted in her getting a Master’s degree and PhD in nutrition in her late 30’s. Having been overweight and sick for most of her young years, the whole foods plant-based diet shifted the quality of her health and life so much that she decided to make it a priority to bring this movement forward. 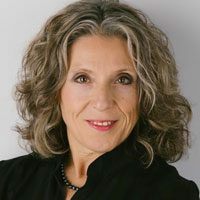 22 years later, she has now founded the Wellness Forum, a company that offers educational programs to both consumers and providers that facilitate informed medical decision-making, diet and lifestyle intervention, and improved long-term health outcomes. She also serves on the Physicians’ Committee for Responsible Medicine board, is part of Dr. Campbell’s teaching team at eCornell, and has been featured in many documentaries such as Forks Over Knives, Food Choices, and Processed People. One of her main focuses as a lobbyist and public policy expert is to work toward changing laws that interfere with patients’ rights to choose their health provider and method of care. She has testified in front of legislative committees on numerous occasions, and has testified twice in front of the USDA’s Dietary Guidelines Advisory Committee. One of the most prominent vegan doctors because of his activity on social media and outspoken TV appearances is Ironman triathlete and recovered “Proteinaholic” Garth Davis. 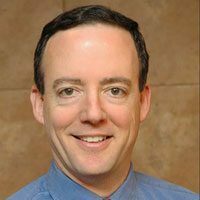 The UT Austin graduate who was born in 1970 has specialized in weight loss (bariatric) surgeries and is now recommending a whole foods, plant-based diet to his patients for best health and long-term weight loss/maintenance results. He also teaches PCRM approved cooking classes and gives talks all around the country on diet and health implications. His turnaround from an animal protein rich diet to a vegan one started at the age of 36 when he found out that he had cholesterol deposits in his eyes after a routine exam. He was also suffering from hypertension, high cholesterol, and a fatty liver – thinking that he was eating a healthy diet. This caused him to review scientific literature on his own (after having received only one full hour of education in nutrition back in medical school) and learn about the power of a plant-based diet. This change left him very energized and sparked his interest in fitness which resulted in completing 2 marathons, multiple Olympic and sprint triathlons, a half Ironman, and a full Ironman in 4 years. Dr. Davis has been named a Texas Monthly “Super Doc” several times and is featured in the famous documentary What The Health. Articulate, inspiring and energetic - Dr. Goldhamer is one of the most pioneering and dedicated visionaries in health today. His diet advice goes further than just whole, plant-based foods! He is also advocating for leaving all oils, sugars, and salt off the table. In his treatment facility, the “TrueNorth Health Center” in Santa Rosa, California, he provides medical and chiropractic services, psychotherapy, counseling, as well as massage and body work. The TrueNorth Health Center It is also known for providing therapeutic fasting which has been shown to successfully treat lymphoma cancer according to a report in the British Medical Journal. Dr. Goldhamer has personally supervised the fasts of over 15,000 patients and he has been following his own diet advice (“SOS-free whole food vegan”) for decades. He likes to jokingly tell the story of how it all started by wanting to beat his school buddy Doug (Dr. Lisle, see below) in basketball, who, unfortunately, adapted his way of eating as well so that his efforts failed. This got them both interested in health and they work together until this day. During his work, he found that when people eat foods that contain certain compounds, mainly sugar and oil, the brain becomes artificially stimulated by dopamine secretions, which leads to overeating, obesity, and the diseases of dietary excess. You can see him featured in the documentaries Forks Over Knives as well as What the Health. Even though his dietary recommendations are on the stricter side, it makes sense for mainly already sick people to follow them. Dr. Lisle is the staff psychologist and director of research at the TrueNorth Health Center and psychologist and speaker at the McDougall Wellness Program. As mentioned above, he has been following a vegan diet for decades himself and has helped countless of people to do so, too. Although his work “Esteem Dynamics” is about more than just diet, he co-authored the “Pleasure Trap” and has brought up interesting theories on why human beings are set up by the process of evolution to prefer “rich food sources” and need a healthy food environment to thrive. His research and clinical interests have broadened to include health and wellness, self-esteem, relationship satisfaction, the treatment of anxiety disorders and depression, and optimizing achievement motivation. Dr. Lisle has a very unique way of explaining his ideas and approaching people, which is something you need to witness for yourself by watching one of his brilliant speeches (or the documentary “Forks Over Knives”). Dr. Ostfeld earned his MD at Yale, his MS in epidemiology at Harvard, and he is now an associate professor of clinical medicine at the Albert Einstein College of Medicine. The cardiologist believes the number 1 cause of the escalating heart disease epidemic is our toxic Western diet and describes how, across the globe, populations that eat more of a plant-based diet have better health - whereas those that eat more of an animal-based diet do not. He is particularly concerned about the fact that 65% of teenagers in the US already have early signs of heart and blood vessel disease. When we are born, our bodies are turbo engines. A bunch of animal products and processed foods later, we turn our bodies into clunkers. The good news, however, is that it is never too early to live more healthfully, and it is never too late. Therefore, he recommends that everyone going to the supermarket "walks straight to the produce isle and bathe their body in colorful nutrients". Dr. Ostfeld chose to work with underprivileged populations in The Bronx instead of taking a high-paying job while researching the benefits of a whole foods, plant-based diet that weren’t discussed during his medical training. 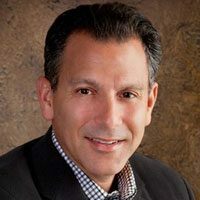 He is the director of the Cardiac Wellness Program at Montefiore Medical Center in Bronx, N.Y. and spoke at the Committee’s International Conference on Nutrition in Medicine. The retired physician and heart surgeon is an American centenarian, born in 1914 in Texas. Wareham is a Seventh-day Adventist and a World War II navy veteran, having worked in his job until the age of 74 and then continued to train residents at the Loma Linda University until the age of 95. He was one of the earliest practitioners of open heart surgery, soon after the first such procedure was performed. During his career, he noticed that patients who were eating a plant-based diet mostly had much cleaner and smoother arteries than those who ate meat. This caused him to change his already health-conscious diet to a fully vegan diet around 50 years ago. Luckily, he’s been living in a town where the largest grocery stores don’t even sell any meat! Furthermore, there is no smoking and almost no alcohol or fast food available in this area. Although he isn’t a very active member of the plant-based movement, Dr. Wareham is a wonderful example of a healthy vegan centenarian. He sometimes mows his own lawn and in his interviews he states that he feels awesome, his medical results show no problems and he doesn't fear heart disease like most people at old age do. He has been featured on TV and in the documentary “How to Live Forever”. This wonderful couple cannot be left unmentioned! The internists have specialized in reversing disease by using nutritional and lifestyle medicine and developed the program used by patients in the documentary "Forks Over Knives", where they were also featured personally. This groundbreaking project kind of kicked off the series of plant-based documentaries we have until today and Drs Lederman and Pulde worked as advisors for this film. Furthermore, they are the authors of 4 books, including two of the Forks Over Knives series, and "The Whole Foods Diet" for which they teamed up with John Mackey. It doesn't stop there, the collaboration with the Whole Foods Market founder resulted in not only a book but also other health and wellness projects that help countless people to thrive on a plant-based diet. 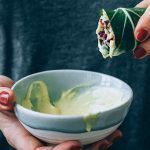 Matthew Lederman and Alona Pulde live in Los Angeles together with their two daughters and are wonderful examples of how to make a healthy and happy plant-based family life work! And that concludes the list of our favorite vegan doctors. Which one of them has inspired you the most? We're curious to hear your thoughts in the comments! I agree with all, but Dr Scott Stoll was overlooked. never heard of Dr. Stoll! What’s his story and where can I find out more about him? So was Dr.Baxter Montgomery. ? Oh, that’s true! Guess you cannot think of every single plant-based doctor… I will do some research on him and might update the article accordingly. Thanks so much! Dr. MILTON Mills as well. Dr. Milton Mills was left off of the list. I believe he will bring the message to the average person person. 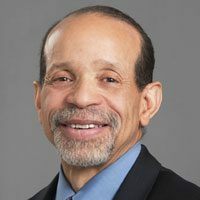 I just watched this today and had to share it with friends and coworkers – Dr. Milton Mills has several great interviews! Alena, thank you for your article! There are several others from the same class (Loma Linda University School of Medicine 1986) with Linda Carney that are deeply involved in the plant based and Lifestyle Medicine movement, though obviously not as widely known as those you’ve mentioned: Wayne Dysinger, MD, boarded in Family Medicine, Preventive Medicine, and one of the founding leaders in American College of Lifestyle Medicine as well as Medical Director of the CHIP program (more about that momentarily). Jim Peters, MD, PHD, medical director of Take Ten, Lifestyle medicine program at St Helena Hospital, Neil Nedley, MD, President of Weimar College and Director of Weimar Lifestyle Medicine program, author of several books on Lifestyle and health. Michael Hollie, MD, impetus behind What’s Eating You?, was from class of 1985. The CHIP (Complete Health Improvement Program) was developed by Dr Hans Diehl, PhD, [first director of Research and Education at Pritikin Longevity Center], which has been helping hundreds of people since 1988. He’s also written several books. Thank you for this awesome post! The medical revolution has begun! Feel free to get in touch if you’re looking to collaborate at some point. Great to see these and so many other doctors who actually know nutrition science. I’d LOVE to see ethnic diversity promoted, among plant-based / vegan professionals that already do exist. Just one Black person then the rest . . . white. I second this! I see a long list of white men. There are tons of non-white and female doctors promoting the vegan message! Dr. Angie Sadeghi, Dr. Mauricio González, Dr. Harriet Davis, Dr. Danielle Belardo, Dr. Michelle McMacken, Dr. Tati Kvis, Dr Neo Tea Sharma, Dr. Adeleh Yarmohammadi, Dr. Jaimela Dulaney. All of these doctors have so much to contribute and it would be great to see their work recognized. Nice list. Don’t forget Michelle McMacken! Great article. I shared it to look at later and see how many I knew. All but four. MY TIP: I’m not a grammar nazi, but things read better and have more credibility with me when an apparent grammar error doesn’t stop me in my tracks. Ref your title. I was always taught that it is more correct say ‘who’ instead of ‘that’ when talking about people. If I am right, you may get more respect by changing it. thanks so much for stopping by! I love your feedback since I’m very similar in this regard… I really prefer proper grammar and spelling. Just corrected the title, I guess it wasn’t too obvious to us when we published it. Things like these don’t come super easy to us since we’re not native speakers :) Still, trying our best! Thanks again, happy you liked it. thanks for the tip! I have seen Dr Hans Diehl in a couple of videos but it was hard to find enough information on him. Once I overhaul the article, I’ll try to include him, though. Thanks for pointing it out! Great article, thanks for all the effort. Great article! Thank you & have shared. As with any list, believe it’d be close to impossible to include every single doctor though thankfully there are now many & it continues to grow. One of the doctors that is not on the list & his program changed my health outcomes & life is Dr. Hans Diehl with the CHIP (Complete Health Improvement Program. Glad to see Dr. Pam Popper on the list as appreciate being able to have direct contact as she’s 3 hrs. from where I live. Dr. Anthony Lim is a doctor I see as an “up & coming” & he’s connected with Dr. Alan Goldhamer, True North Health. 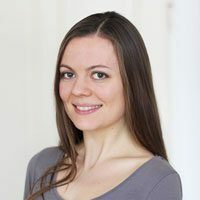 Dr. Saray Stancic is one to check out also, she will have a plant based documentary available in the future, hopefully soon. Agree with the other comments above of doctors being recommended, such as Dr. Linda Carney, Dr. Milton Mills, Dr. Baxter Montgomery, etc. I’ll be checking some of the doctors in the comments with whom I’m not familiar. Thanks so much for your wonderful words! Yes, we did have to draw the line somewhere but apparently I overlooked some pretty big names and will do and overhaul soon. So happy that this article has become a place of inspiration and getting to know even more plant-based doctors! I would like to speak with you. Please contact me. Dr. Laurie Marbas, mentioned above. She has unique interviews, interviewing interesting people. Thank you for this post! Very concise, thorough, and includes all of my hero’s!! I would like to include Dr Thomas Campbell author of the Campbell Plan and Co Author of The China Study with his Father . Thank you. Did you include Jeff Novick? Maybe I missed his name while reading this article. Jeff Novick probably wasn’t included because he isn’t a doctor, but he is a great plant-based SOS-free dietitian. Lots of those doctors on your list aren’t vegan. Ornish allows fish or low fat dairy on his trials. McDougall says turkey is ok at Thanksgiving. Fuhrman allows up to 10 percent animal products by calories. Not vegan which is fine. But you say 18 vegan doctors when it’s probably closer to 10. “Vegan” (as a term) has so much excess baggage attached to it, and variants (do they allow honey? who knows? *shrug*), It’s become kind of a loaded term and impossible to satisfy every “vegan” all the time. I think it’s important to distinguish between plant based and vegan. Veganism is a lifestyle and a philosophy based on excluding anything animal based from one’s consumption or use for moral reasons. You can be a vegan and eat french fries and vegan cheeseburgers and the myriad of other vegan, processed junk food. Plant based implies a whole food diet that many people follow for health reasons. You can be vegan and plant based or not. As a plant based vegan I would NEVER have a slice of turkey or a glass of skim milk. What you take so lightly (like, ermahgerd, a little turkey at Thanksgiving) is someone’s body being consumed, It is the product of torture and suffering. A vegan would never make this exception. Someone who is plant based might. Dr. McDougall has said he has a slice of turkey every other year (who knows if he really does). He did not want to say he followed a vegetarian diet, because he felt that there are a lot of unhealthy vegetarians out there (probably not following a whole foods, plant-based diet). I would think he probably is, in fact, a vegan. What Dr. Ornish allows on his trials, and what he eats personally, are two different things. What Dr. Fuhrman allows for his patients, and what he eats personally, are two different things. Thank you for this wonderful list! I have followed Dr Esselstyn’s plan for the last four months, and it has made a huge difference in my life! I think Dr Craig McDougall should be added to the list as well – (Dr John McDougall‘s son). He practices here in Beaverton, Oregon at OHSU, and I am lucky enough to call him my new plant-based, primary care physician! All great doctors, doing fantastic work. Though it is interesting to see the list and the limelight is still quite male dominated. This isn’t to undermine anything that they have done. I’m a big fan of ALL these doctors. I’d just like to hear and follow more female voices in this arena too and see them also getting credit for their work. Follow up article …? Awesome article. Thanks for taking the time to compile the list. ?.The people names are incredible. Of course no list is comprehensive but consider adding Dr Mills. He is incredible!! I repeatedly listen to his powerful lecture at Dr McDougal’s event. His lecture cemented my decision. These folks are all true heroes. Nothing anyone is saying now in the world can live up to their message. There is nothing, absolutely nothing in the world that has an impact as great as the way we feed ourselves. These heroes are helping us making better choices. And I am paying it forward. HOW ABOUT 2 DOCTORS? – A HUSBAND AND WIFE DUO – Dr. Arjun Rayapudi and his wife Dr. Shobha Rayapudi have taken Newfoundland, Canada by storm. Newfoundland has the worst reputation, of all the Canadian provinces, for nutrition. This husband and wife duo are taking the province by storm. Plant-based lifestyle, that was unheard of five years ago, is exploding throughout the province, and this couple can take the credit for all of this success. They are based out of Burin, Newfoundland, but their teachings and selfless devotion has spread throughout the entire province. Ancel Keys? A hero? His diet-heart hypothesis was bad science, vilifying natural saturated fats as the cause of of coronary heart disease. Described as “the biggest mistake in the history of nutritional science.”(1), which set the stage for our current, obesity / diabetes / insulin resistant epidemic. Hero? 1). Cummins, Ivor. Eat Rich, Live Long: Mastering the Low-Carb & Keto Spectrum for Weight Loss and Longevity. Victory Belt Publishing. Kindle Edition. For even more incentive to eat a healthy whole foods, plant center diet, this is your biggest personal contribution toward helping improve many areas – climate change, environmental destruction, animal cruelty, human cruelty for workers in the animal agriculture industry, etc.! Go to J. Morris Hicks website and read his May 2018 briefing charts pulling this subject together. I have, so far, failed to get a “Practice Healthiest Nutrition” course offering at our local Hancock College non-credit Community Education Program. There was no transparency in the approval/not approval process and so far have dredge out four reasons for the rejection! Your site is superb! I will add it to my material that I provide to over 200 longtime healthy lifestyle online contacts! So nice to see your list and all the others added via comments. I’ll add Dr Hans Diehl, founder of the CHIP program and Dr. Wayne Dysinger and Dr John Kelly to the list. I’m certain there are many more! I surprised the article left out Dr. Shintani. He was mentioned as one of the early pioneers at the PBNHC 2018 conference. He has been a proponent of plant based, whole food diet since the 1970s and has served native Hawaiian communities that suffer ill health due to their diet. I’m searching for a doctor who can connect with me over the internet, (I live in Hong Kong,) someone understanding of whole food plant based no oil nutrition and diets in relation to my needs as their patient. I’ve searched for a local doctor but none, to my knowledge, are practicing in Hong Kong. My only option is to become a patient of a doctor, communicating on line. Would you know of any medical practitioners who would consider assisting me? I have been vegetarian and mostly vegan for 16 years now. One thing which I feel is lacking from your health awareness reports of most of these doctors, although they may practice it, but it’s just not being promoted….is the effect that thoughts have on food. For example, with what thoughts is the food being grown in? Is the water being used being meditated on? It makes a huge difference. If the vegetables are being bought, in what awareness are they being bought? Are the gardeners who grow the vegetables being properly paid? Is the food being cooked in silence and in remembrance of God? Is the food being offered to God before eating it? Is it being eaten slowly and with a feeling of gratitude or with greed. One of the big advantages of a plant based vegan diet is compassion. When you eat meat, you consume the fear which flowed through the animal’s mind and body as it was being murdered. This promotes fear in society. You are what you eat. What comes around goes around. People who can tell you more about these ideas are the Japanese water doctor, Masaru Emoto, Russian scientists findings on the effect of thoughts on water, Louise Hay, you can heal your body, the Brahma Kumaris, Raja Yogic farming and yogic lifestyle. I have been vegan for about 4 years now. I even switched to using vegan & cruelty free products such as ones by Virginic. Definitely seeing a different in my life already. Challenging & time consuming, but VERY worth it. This is very impressive, I m just beginning my plant life diet. I cannot wait to dig to the information presented by these doctors. Fantastic article, it would have been more complete if the list included H. Robert Silverstein MD, He has preached this for 40 years to all of his patients, including articles, books and on-air. Drs Dean and Ayesha Sherzai are another plantpowered couple, pioneering work in the prevention and treatment of brain disease including stroke, dementia and alzheimers using plantbased lifestyle. Another Pioneer that you could add is Gabe Mirkin, who has helped countless people through his radio show and newsletter. He is still going strong in his eighties. Thanks for a well written article!! Thank you for the great information. Started a WFPB diet and this information is encouraging and fantastic. Who has inspired me the most? Neal Barnard. I went vegan in October 2007 after finishing his 2007 book on Reversing Diabetes. Went ‘cold turkey’ for 3 weeks as he recommended, and haven’t looked back. No longer diabetic. And a year or so ago I learned that I’m not a vegan; instead I should be classified as eating a Plant Based Diet. In second place is Dr. Greger. 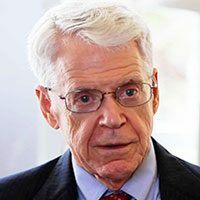 The only other person I would add to the list, as an honorable mention since he is not a physician, and the only one I have personally met, is Rip Esselstyn of https://engine2diet.com/ fame. He and his crew have reached thousands. Thanks for the list. I’ve been curious about the differing vegan philosophies (no fat, high starch, no oil, low carb, etc) of some of these 18. Thanks so much for such a great article. I am happy to admit that my youngest son, age 25, has put me to shame nutritionally by adopting a vegan plan and has upped the game for me! I am struggling to find a vegan centric PCP in the greater Detroit-Metro area that accepts BCBS insurance coverage. Any clues you might have would certainly be appreciated. BTW, Dr. Joel Kahn’s cafe, Greenspace, is a must do !! Thanks for all you do! I gave up meat over sixty years ago, a short time later I gave up the cheese and the other animal products, I now limit the amount of sugar and salt in my diet, Hans Dhiel and Neil Nedly recommends some books on this subject printed before 1900. I am past my eighty and I still do not take any medicine, My motto is if it can bight me when it is alive. I do not bight it after it is dead. I will like to become a vegan what are some ways i can cut off meat without craving.